Geomatics engineers manage global geospatial resources and infrastructure. They design, develop, and operate systems for collecting, analyzing, and utilizing geospatial information about the land, infrastructure, the oceans, natural resources, and the environment. In Civil Engineering's Geomatics Engineering emphasis area, you will have the opportunity to study property boundary determination, digital mapping, geodesy, geographic information systems (GIS), global positioning systems (GPS), land information management, photogrammetry, and remote sensing. The Geomatics faculty are dedicated to effective teaching and cutting-edge research. There are two ways to pursue a master level graduate study in Geomatics Engineering. For those interested in a specialized, focused curriculum of Geomatics Engineering, application can be made through the School of Civil Engineering at http://eng.purdue.edu/CE/Academics/Graduate. For those with an interdisciplinary background, the application can be made through the Purdue Engineering Professional Education program at http://eng.purdue.edu/ProEd. 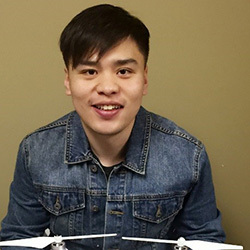 Professor Jie Shan and cohort Charles Toth, Research Professor at Ohio State University, received the 2019 LiDAR Leader Award (2nd Place) from the International LiDAR Mapping Forum. They were recognized for their edited publication, Topographic Laser Ranging and Scanning. The United States Geospatial Intelligence Foundation (USGIF) announced Dr. Edward M. Mikhail, professor emeritus of civil engineering at Purdue University, as the 2018 recipient of the Foundation's Arthur C. Lundahl-Thomas C. Finnie Lifetime Achievement Award. Mikhail is the 14th individual to receive this prestigious award and was recognized on stage during USGIF's GEOINT 2018 Symposium general session. Jie Shan, Professor of Civil Engineering, has been elected a Fellow of the American Society for Photogrammetry and Remote Sensing (ASPRS). Professor Shan was presented with the award at the ASPRS annual meeting held recently in Baltimore. Ms. Chisaphat Supunyachotsakul, a doctoral candidate in the geomatics area advised by Prof. James Bethel, is the recipient of the 2016 Robert E. Altenhofen Memorial Scholarship. Fangning He, a PhD Candidate in the Lyles School of Civil Engineering, has been named as recipient of the 2016 Bilsland Dissertation Fellowship Award. 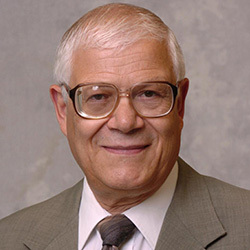 Professor Emeritus Edward M. Mikhail was selected by the Geomatics Division of ASCE to receive the 2014 Surveying and Mapping Award for his devotion and contributions to the fields of photogrammetry and remote sensing. Purdue Professors Steven Johnson (CE) and Michael Smolen (Center for the Environment) recently traveled to Alaska to establish a Native run program to monitor the seasonal and annual processes involved with beach modification along Hooper Bay. "Geospatial Technology for Earth Observation," an in-depth and broad collection of recent progress in Earth observation, serves as a valuable training source for researchers, developers & practitioners of geospatial science. Congratulations to Profs. Bethel, Mikhail, Shan, and grad students J. Youn, S. Alkheder & J. Wang on their achievements! Nathan Ovans recently received the Francis H. Moffitt Memorial Scholarship from the American Society for Photogrammetry and Remote Sensing. Issued by the Indiana Geographic Information Council, the award was presented at the 2009 Indiana GIS Conference. This volume provides the first systematic, in-depth introduction to the basic theories & principles of LiDAR (Light Detection and Ranging) technology and data processing. 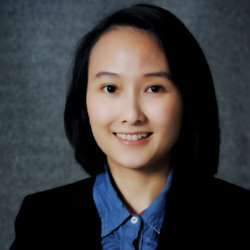 Prof. Shan has recently been selected as an Associate Editor for IEEE Transactions on Geoscience & Remote Sensing, and the Assistant Editor for Photogrammetric Engineering & Remote Sensing. 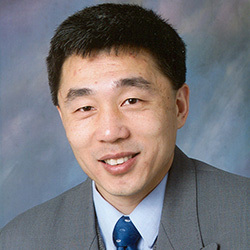 Prof. Jie Shan received a grant from the NOAA Indiana/Illinois Sea Grant Program. His team will be working on Mars topographic mapping using orbital imagery and laser ranging, and the calibration of the instruments aboard. Associate Professor Jie Shan, Associate Professor James S. Bethel, Professor Edward M. Mikhail, Chiumng-Shiuan Fu, Bin Li, and Jeffrey Kretsch received Talbert Abrams Grand Award for their journal paper, entitled "Principles and Evaluation of Autostereoscopic Photogrammetric Measurement."